Once your agency’s Screenings and Assessments are completed and analyzed, they can be utilized to customize a Worksite Wellness Program specifically targeting the unique needs of your personnel. While Ongoing Support and Education will be the key to a sustainable Worksite Wellness Program, Addressing Needs identified by your screenings can actually “jump-start” your employees’ progress on the road to good health. Our interventions are provided by qualified professionals (Diabetes Educators, Nurses, Dietitians, and Health Educators) utilizing the evidence based programs summarized below. Facilitated groups on managing chronic conditions, such as hypertension, high cholesterol, etc, and evidence-based lifestyle changes that can assist in improving quality of life and health. Staff at JCHD are trained facilitators for the CDC Diabetes Prevention Program (DPP) Lifestyle Change Program. This is an evidence-based program for preventing type 2 diabetes. Participants with pre-diabetes work with a lifestyle coach in a group setting to learn how to make lifestyle changes that can reduce the risk of developing type 2 diabetes by up to 58%. JCHD offers comprehensive diabetes self-management group classes at your worksite for your employees. The program, designed for those who have been diagnosed with diabetes, is 8 hours and discusses topics from understanding diabetes, monitoring blood sugar, nutrition, physical activity, complications and to troubleshooting general issues with planning for travel with diabetes. The Freedom From Smoking (FFS) Cessation Program is ranked one of the top cessation programs in the country. 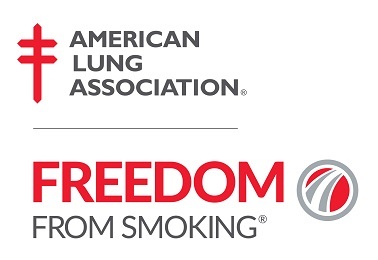 The American Lung Association, Freedom From Smoking program has been helping people stop smoking for over 35 years. This smoking cessation program is one of the top ranked cessation programs in the country, with 51% success rate at the end of the program. Our sessions are led by trained health educators who specialize in the Freedom From Smoking and have been providing smoking cessation classes for over 14 years in Jessamine County. 30 minute to 1 hour group meetings over lunch at your worksite on a variety of health topics, based upon the organization’s topics of interest. JCHD offers blood pressure checks and education for worksites. After taking a blood pressure, our staff sits down with employees to review their results, discuss what they mean, and provide recommendations based upon results. We recommend re-occuring blood pressure checks at a worksite for continued assessment and education for employees. JCHD can send a nurse to your workplace to provide flu, Hepatitis B, MMR, and Tdap vaccinations. JCHD will work with you to review current health and wellness policies, and based upon your organizational assessment assist in the development of any recommended policies. Sample policies could include: healthy catered lunch policy, vending machine policy, flextime for physical activity policy, these are among many potential options. Level 3.) ONGOING SUPPORT (Agency Driven Activities/Education).